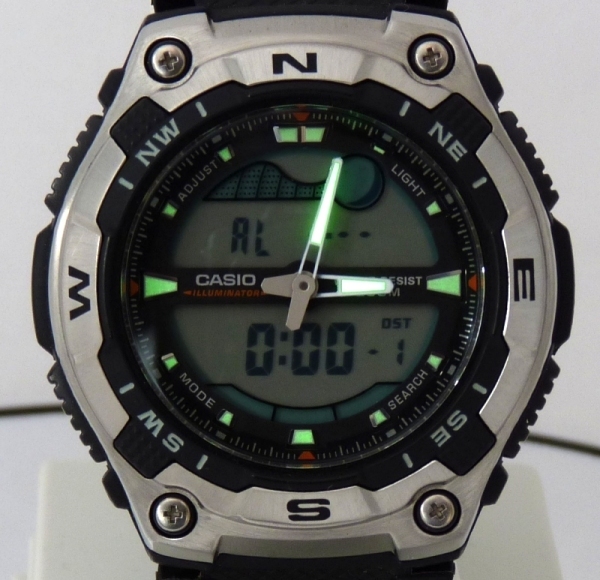 Casual Sports Watch with Analog/Digital Dial and stunning full face illumination. 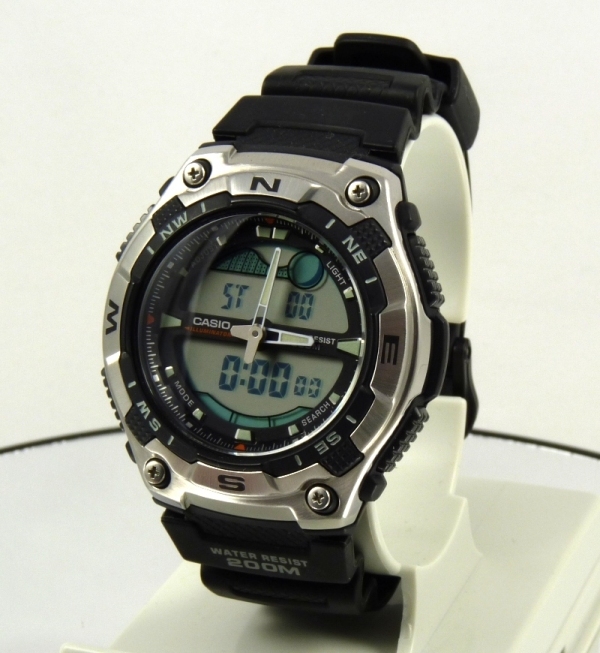 Gents Casio analogue/digital resin strap watch. Functions include moon data, tide graph, EL backlight, 3x alarms (including snooze feature for 1 alarm), dual-time and push-button deployment clasp. 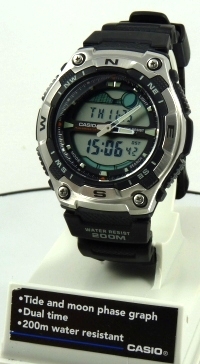 This watch is 200 metres water resistant. 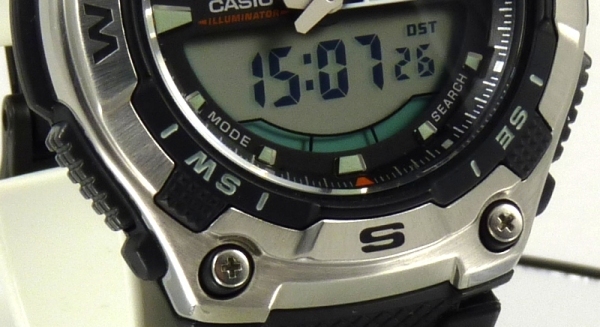 This Casio watch is designed for one thing, water sports! 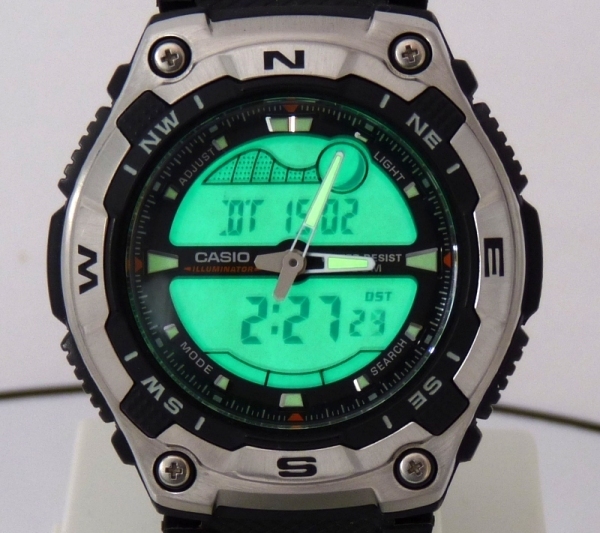 Life on the oceans and seas of the world is tough on a watch so it’s quite remarkable that Casio have produced a watch that is water resistant to 200 meters in this price range. Equipped with countdown timer and full EL backlight it’s ideal for scuba diving or as a cheap backup watch for professional divers. For surface water sports like surfing and sailing the moon phase and tide graph display come in mighty handy for your weekend plans.